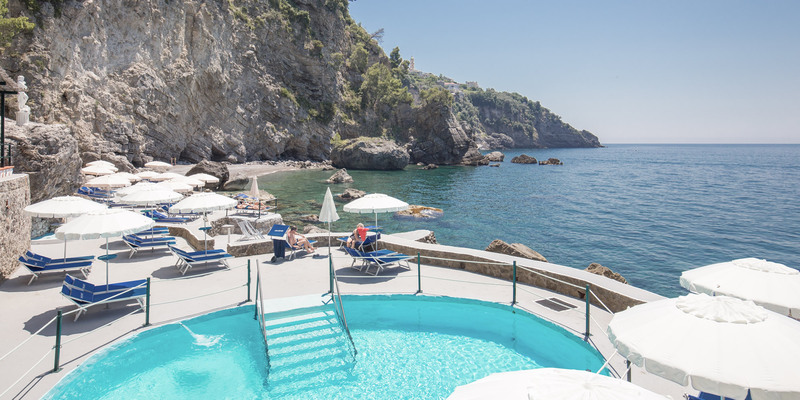 The Grand Hotel Tritone Praiano is a dream four star hotel nestled within a cliff overlooking the gorgeous Amalfi Coast and crystal blue waters of the Tyrrhenian Sea in Praiano just outside of Positano. 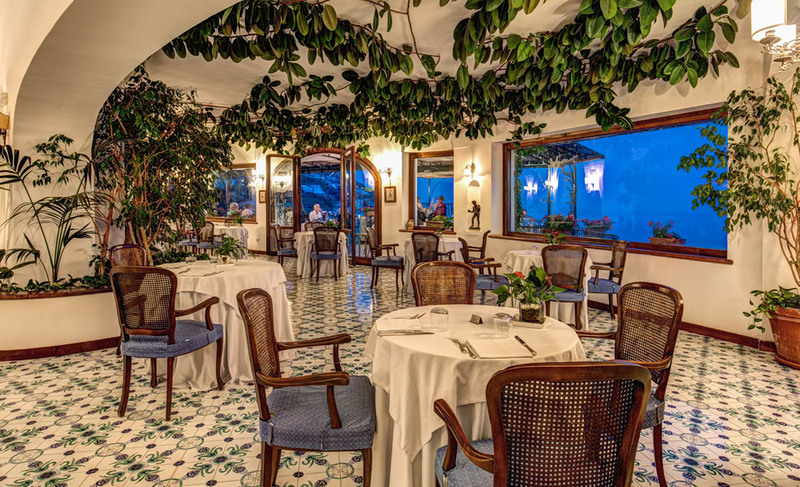 Run by the Gagliano family since 1957, the Grand Hotel Tritone prides itself on its friendliness and welcoming atmosphere and the high standards of quality & customer service it offers. 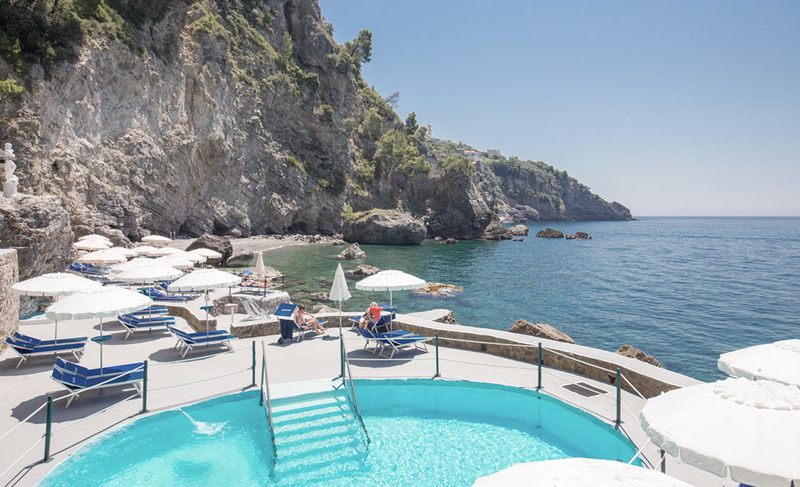 The Grand Hotel Tritone just outside of Praiano is a luxurious 4 star hotel nestled into a cliff on the breath taking Amalfi coast overlooking the crystal clear waters below. 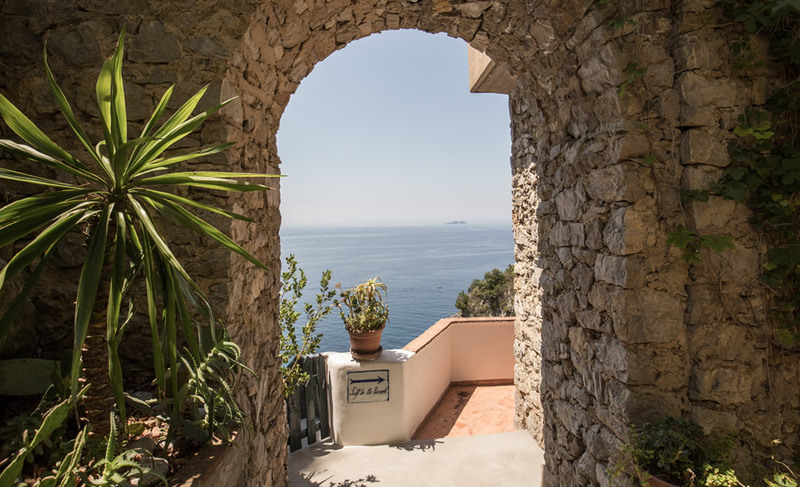 A gorgeous winding staircase leads down to the hotel’s private beach bay or guests can instead take our lift through the rocks to get there with the minimum of effort. With great tourist attractions within easy reach and our concierge service able to arrange unforgettable tours, this is the perfect spot. 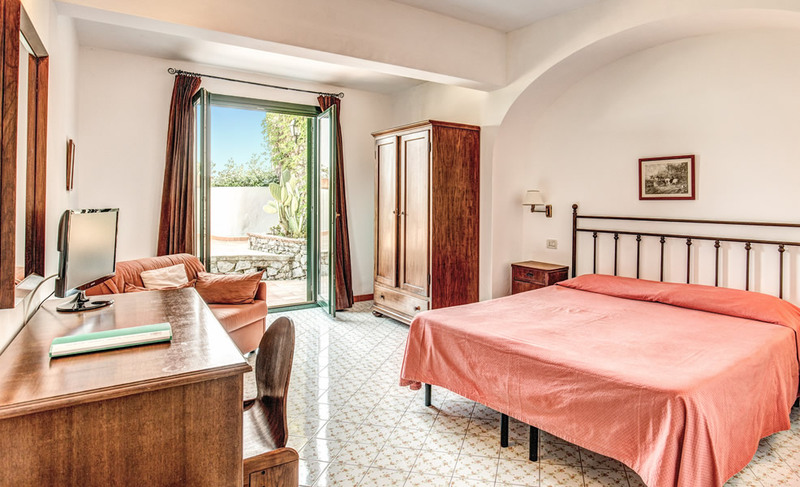 Our accommodation is available in a variety of sizes and standards from single to quadruple, from standard to deluxe, and from rooms to luxurious suites. 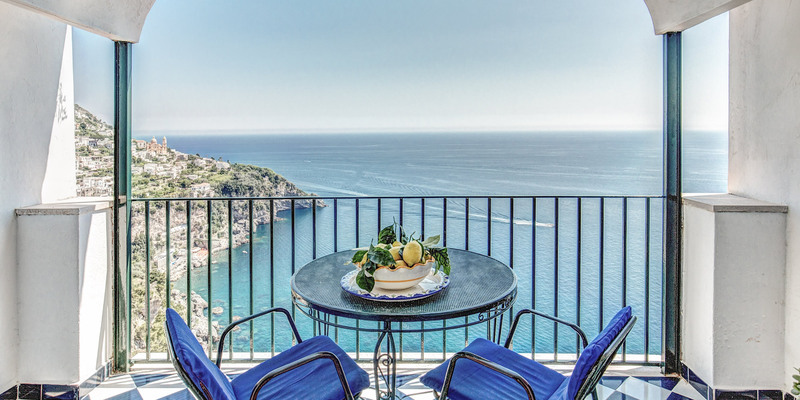 Some of our rooms even include balcony and seated patio areas from which to relax and enjoy the fantastic cliff face views. 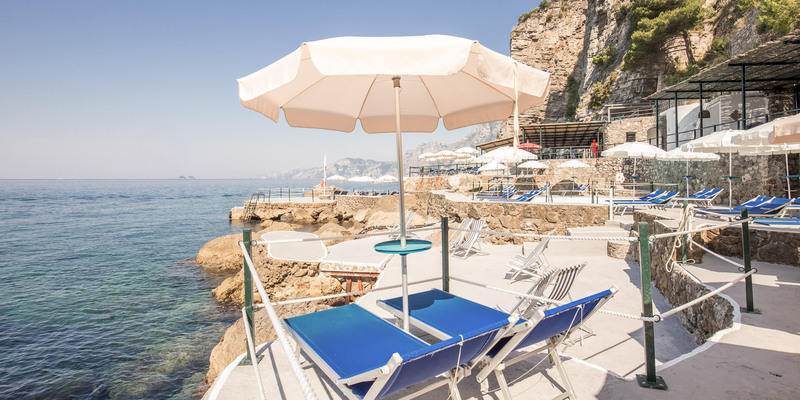 The 4 star Grand Hotel Tritone not only offers a fantastic cliff face location on the gorgeous Amalfi Coast but also provides guests with a private beach area in a gorgeous alcove and two outdoor swimming pools – one with hydro massage features. There is also a café bar at the poolside too where guests can refresh themselves with a cocktail, a cool drink or cold glass of wine. Our 4 star accommodation is the perfect romantic spot to tie the knot and enjoy the first moments of the rest of your lives together. 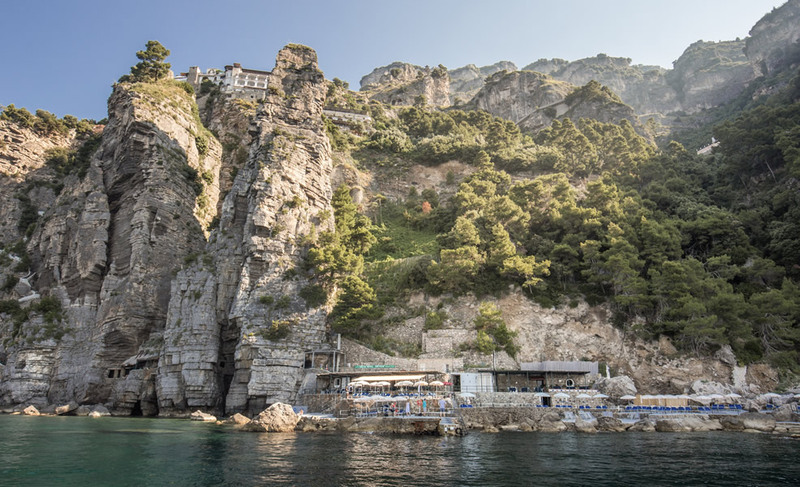 With a chapel dedicated to Our Lady of Lourdes actually hewn into the cliff face, and with the stunning Amalfi coast as a backdrop, we have everything you could wish for Our private beach, fantastic rooms and suites, well renowned wine cellar and on site high quality restaurant can also ensure that your guests are well catered for. 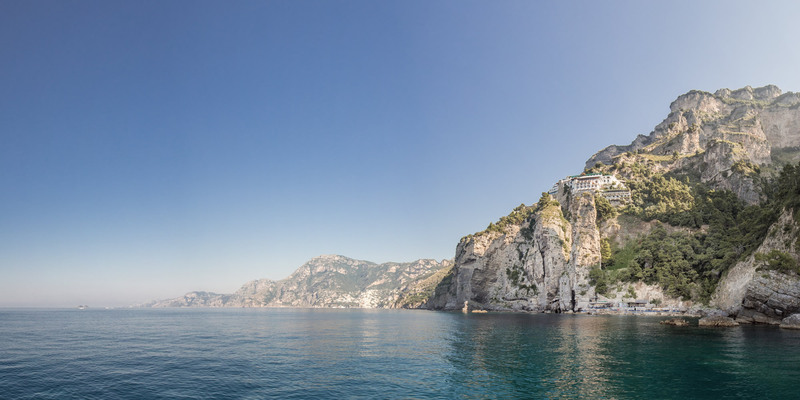 The Amalfi Coast is a paradise just waiting to be discovered and explored, featuring enchanting views, dramatic cliffs overlooking the crystal blue sea, fabulous beaches, wonderful caves and alcoves, ancient village and green pine trees that colour the meandering curves of the coastline. Nestled within the confines of our 4 star hotel you will delight in discovering our aromatic garden bursting with colour and aroma from the plenitude of flowers and fruit trees. What better place to stroll and relax on holiday! 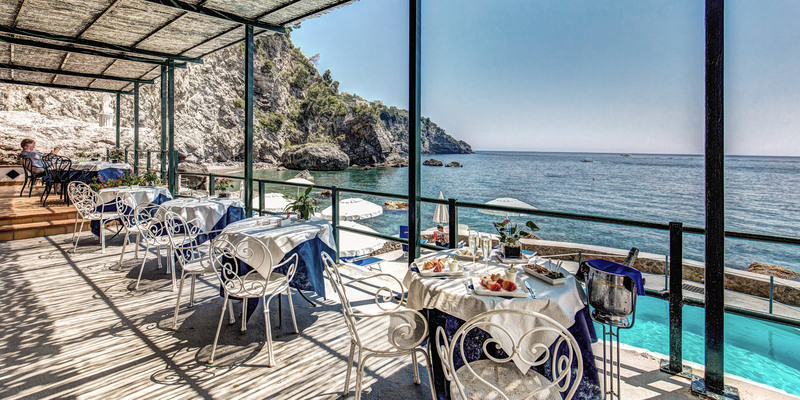 Our hotel restaurant – ‘La Cala delle Lampare’ – is a high quality on site restaurant offering high quality fresh Mediterranean cuisine and serving unparalleled local and Italian wines from our highly renowned wine cellar. 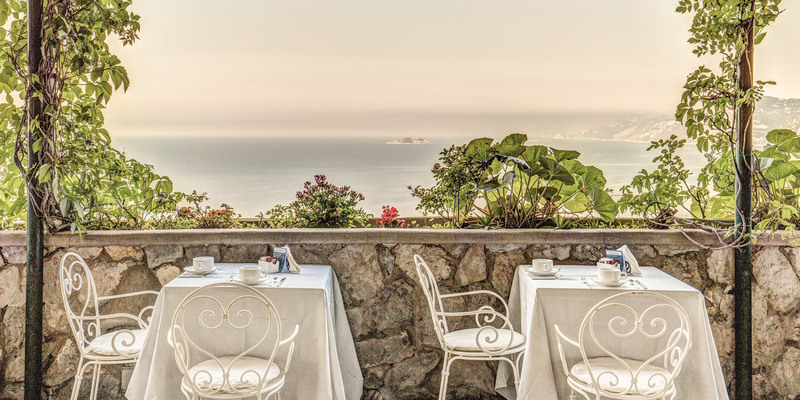 All this with the stunning Amalfi Coast as a backdrop! 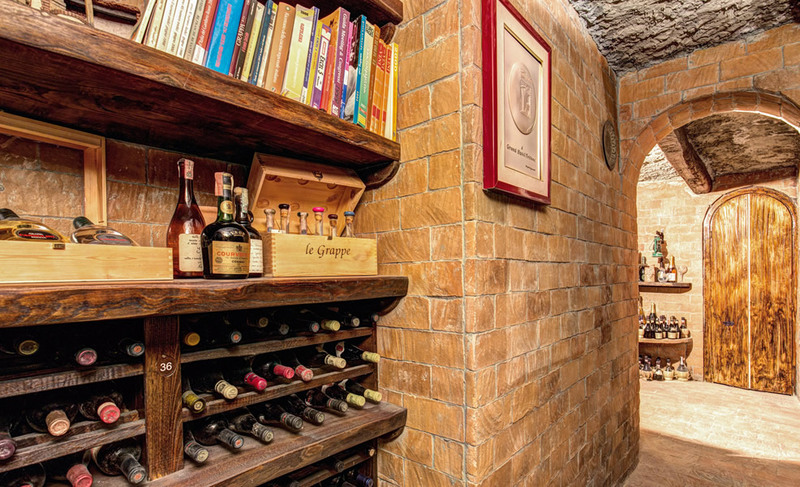 Almost as famous as our hotel itself, our hotel wine cellar has the highest reputation for stocking some of the finest wines available and we are proud to offer our guests the fruits of one of our hotel’s passions. This coupled with our on site restaurant means that guests can enjoy true delights for the most refined of palettes!